Want to spend more quality time with your family and enjoy the outdoors? Then come down to our Families Growing Together sessions at the Horticulture Hub. 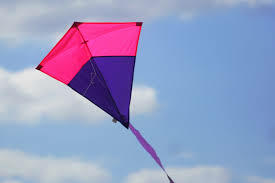 Kite flying is a great hobby, and did you know it's possible to make a kite using things found in your garden. Discover how at this free workshop.